Fort Worth Bike Sharing has new plans to attract riders in both the city and on campus. 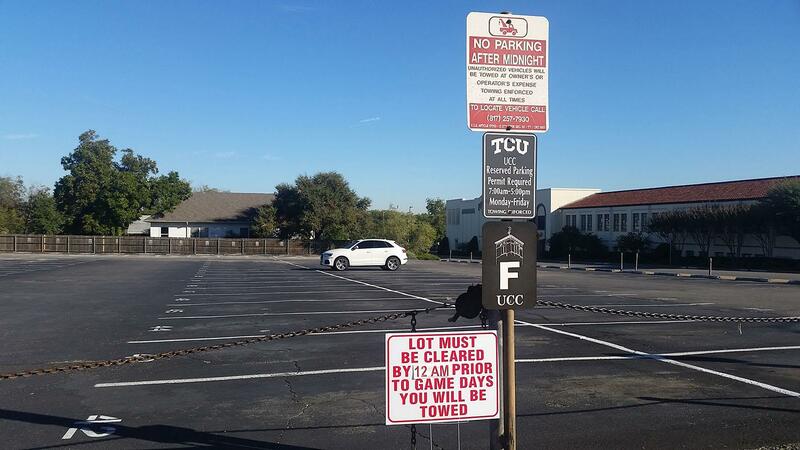 More lot closures on campus pose new frustrations among students. Today, we’ve got an update on the G-20 summit, more lying from the Trump administration, and a look at Trump's new trade deal. What we’re reading: Controversy in D.C.
Today, we’ve got an update on the last of the midterm elections, an ex-Trump campaign advisor accused of lying, and a major cut to the U.S. job market. Fort Worth voters share what brought them to the polls this midterm election. Voters have no excuse not to cast their ballots on election day as the weather in Texas predicts sunshine and warm temperatures. The Libertarian Party is hoping voters stray from voting for the "lesser of two evils" and instead cast their ballot for what they truly stand for this election season. High school students looking to jump start their involvement with the electoral process can serve as election clerks this midterm season. Today we've got an update on early voter turnout, unrest in the Silicon Valley, and warming oceans. What we're reading.. the strongest storm to hit the U.S. since 1992 leaves the Florida panhandle devastated and Trump is maybe saying goodbye to another member of his administration.